A taste of Tuscany. Welcome to Cafe Toscana. Bringing a taste of the Old World to downtown Wilkes-Barre, Cafe Toscana is located at One Public Square in downtown Wilkes-Barre. Our recipes are tried and true family favorites that represent the best that Tuscany and the surrounding region has to offer. Cafe Toscana’s Northern Italian cuisine is light and delicate and allows the individual flavors to come through. We feature an array of tried and true family favorites, including veal, pasta, risotto, fish, steak and seafood, with a variety of specials to keep the menu always fresh and exciting. There are also an abundant assortment of homemade desserts on the menu. A new and greatly expanded wine list gives customers plenty of choices for every dish and every palette. 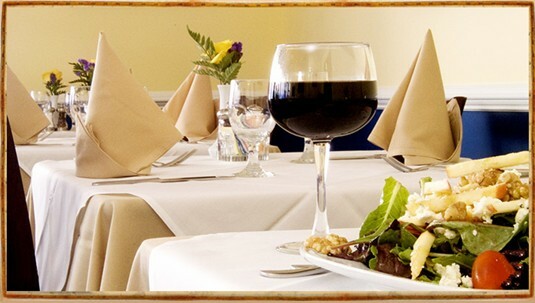 To make reservations, call (570) 208-1252. Parking is free along the perimeter of Public Square after 6:00 p.m. Throughout the day, parking is also available nearby at the Citizens Bank Parkade, the Ramada Hotel Parkade and the Boscov’s Department Store Parkade as well other parking facilities throughout the City. Our trademark is simple: good service, good food and a pleasant ambiance. Come visit us…and enjoy! Follow the links below to our menus, Dinner, Lunch, Wine List and party trays to go menus.